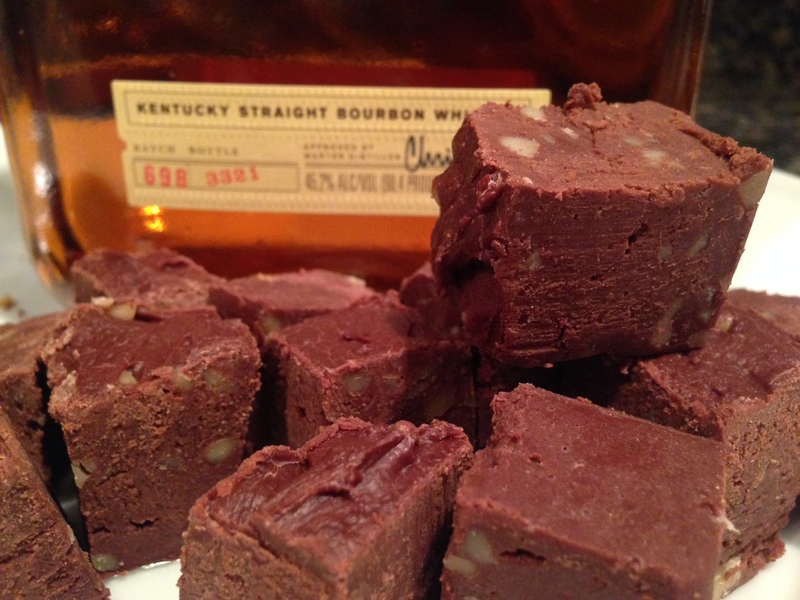 Make this naughty holiday fudge right now! This is my dad’s recipe, and this is the first kind of fudge I ever learned to make. It doesn’t involve cooking your sugars until you reach “soft ball” stage or anything else complicated. It involves one bowl, five ingredients, and a microwave. Couldn’t be easier, and couldn’t be better! I made three types of fudge this Christmas, and this is certainly the best – good enough to give as gifts! Stir until smooth. Spread into buttered 8×8 pan. Chill, and cut into squares.